Your favorite store doesn’t carry? Order Online! Beaver Chew is now available on Amazon. Save $2 on shipping! 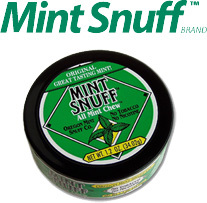 $4.50 Mint Snuff Chew & Beaver Chew Sample Can click here!